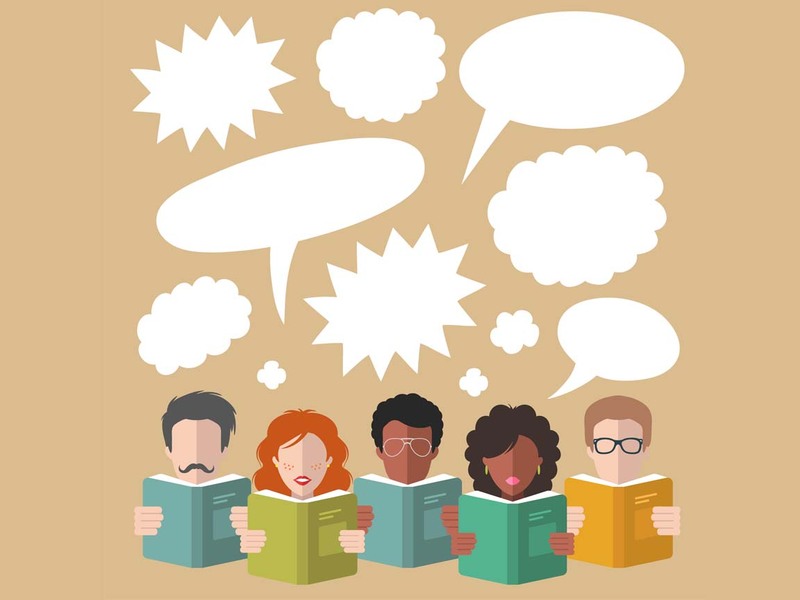 "Beyond Words" is a monthly Book Club for adults who enjoy reading and discussing books. They meet monthly at 2 pm, but meeting dates vary. Discussions are informal and last 1-1.5 hours; refreshments are provided by participants. Contact the library for current book title and schedule. "The Busy Person's Book Club" is a monthly Book Club for adults who enjoy reading and discussion books, but don't have a lot of time to commit to programs. They meet monthly at 5:30 pm, but meeting dates vary. Discussion are informal and last 30min - 1 hour. Refreshments are not served. Contact the library for current book title and schedule. Men's Book Club - The library is in early planning stages of an all men's book club. Schedule is being developed - contact the library to register.